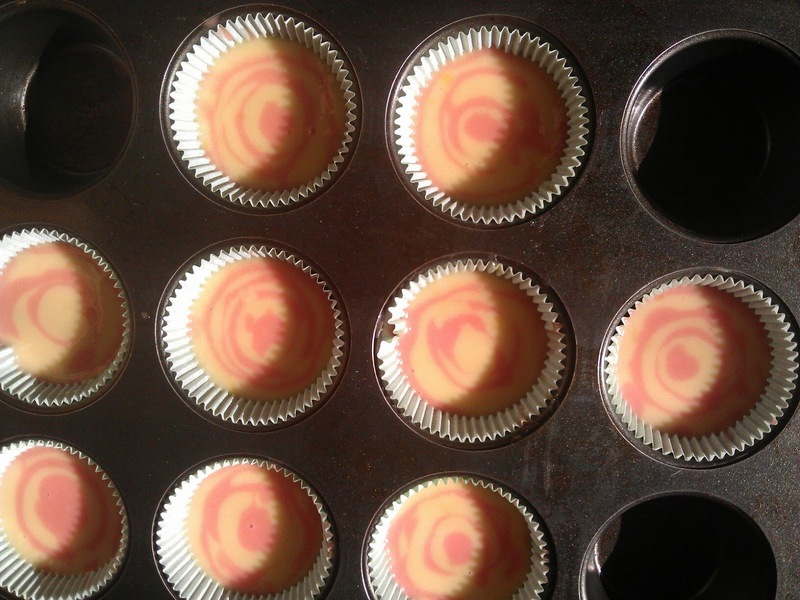 Introducing the Strawberry Lemonade Swirl Cupcake! Last month the lab was filled with lemons for this experiment! Mmmhhhmmmm imagine the aroma of fresh lemons and lemon flavored cake in the oven! I have to admit that this is probably my favorite concoction thus far! (Considering that I'm always pushing the envelope and creating new and exciting flavor concoctions, this is a huge accolade.) 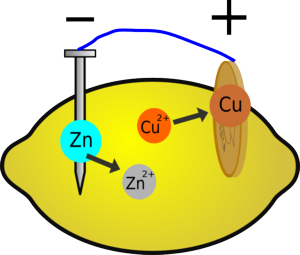 Lemons are often used in elementary science to explain the work of batteries to generate electricity and supply a charge. While lemon cakes are all too common, here's how I used this simple science experiment as my inspiration to charge up a classic dessert to make a shocking lemony concoction! So how does this concoction relate to this experiment? Simple! I used strawberry syrup (pureed fresh strawberries can also work), lemon juice and zest to make a strawberry lemonade cake batter and swirled it with lemon cake batter. 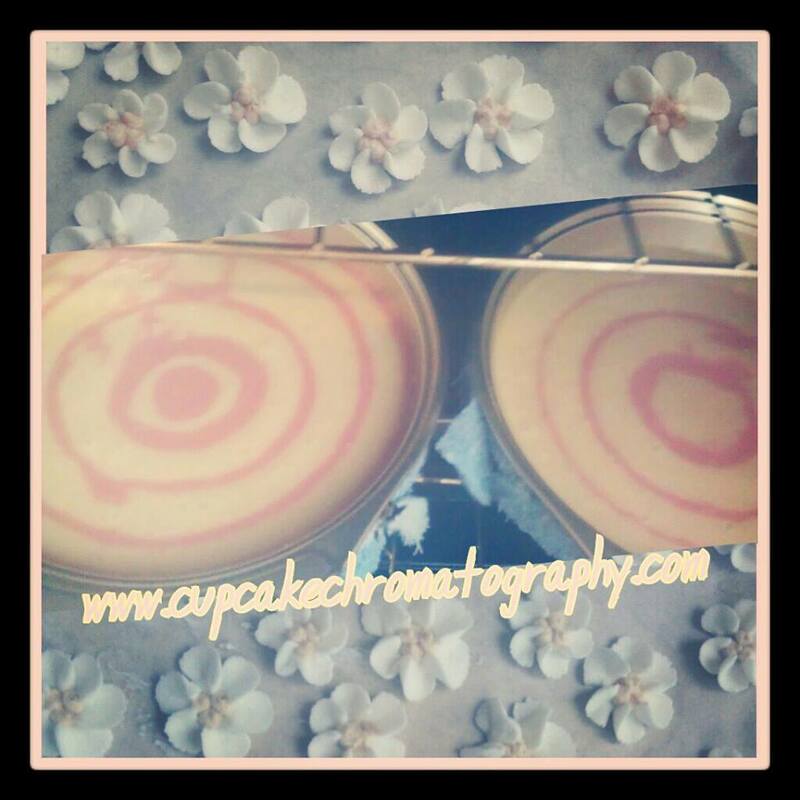 The strawberry lemon cake and lemon cake swirls exchange charges (or flavors :) ) back and forth using the rich smooth lemon curd filling (see recipe below) as an electrolyte! The result: An electrifying mix of tart and sweet with subtle notes of strawberry topped with vanilla buttercream. 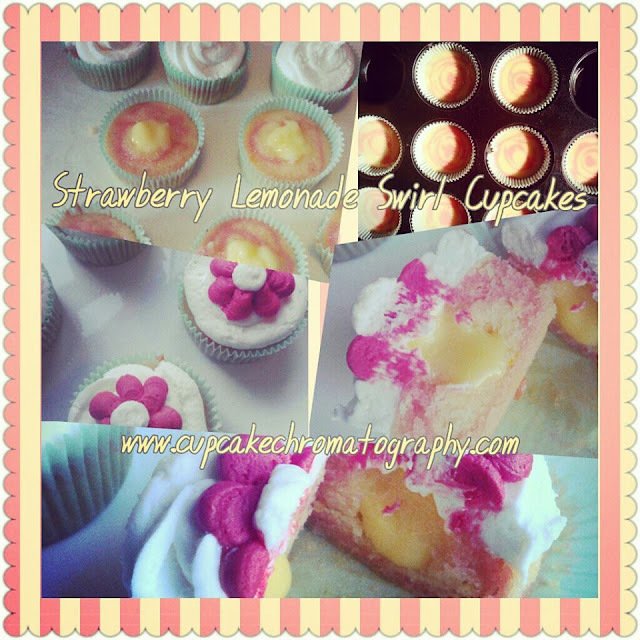 A dessert that is as refreshing as a glass of lemonade with all the comforts and joys of a cupcake!! Large cakes getting ready for the oven and flowers for decor. Step 1: In a double boiler combine lemon juice, eggs and sugar with a whisk until well blended. Step 2: Whisk mixture continuously over heat until it begins to thicken. This process takes about 15 mins and must be constantly stirred to prevent eggs from clumping as mixture cooks. Step 3: Remove mixture from heat and stir in butter and lemon zest. 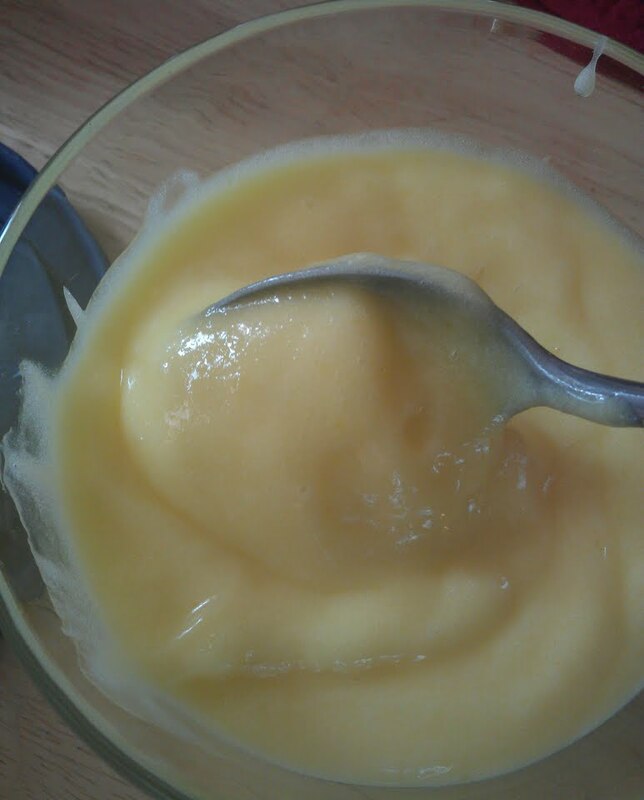 Step 4: Scrape all of the lemon curd to the bottom of the bowl and place a film of plastic wrap on top. Step 5: All to cool to room temperature and then refridgerate. Note: Make this lemon curd a day or a few hours in advance of use.